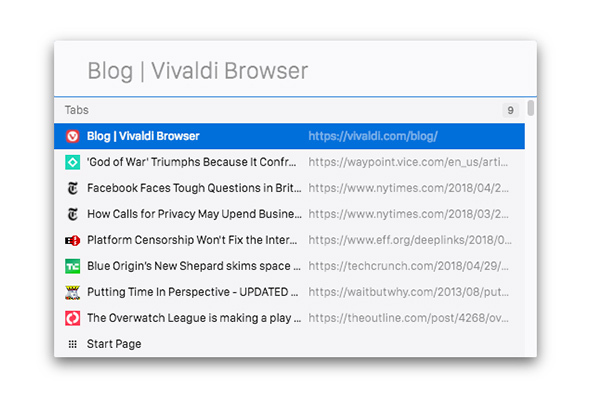 Vivaldi browser releases version 2.1 with improved Quick Commands. 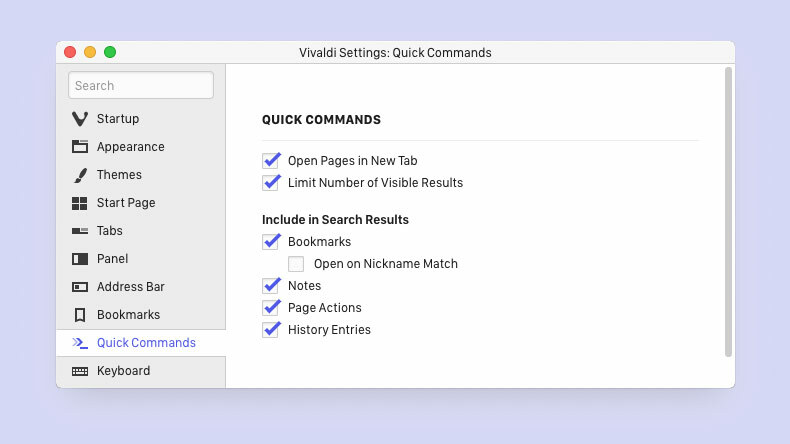 The latest release of the Vivaldi browser makes new additions to its popular feature Quick Commands. Find out more on how they can improve day-to-day browsing. OSLO, Norway – 25th Oct 2018: After a robust upgrade to version 2.0, the Vivaldi browser continues to transform the everyday interactions of users on the Web – boosting productivity, efficiency and adding fun to browsing. Today, Vivaldi 2.1 releases with slick new additions to one of its flagship features, Quick Commands. Vivaldi is a browser that anyone can use to navigate the Web with more control. The real appeal of Vivaldi is that it comes with a ton of productivity and organisation tools already built-in. As more and more people are spending a significant amount of time online, options that help optimise the way they browse are always welcome. “Vivaldi does not have a blanket approach to productivity. To be effective, a productivity tool needs to fit the specific needs of the users. And that’s where Vivaldi’s flexibility comes in”, says Vivaldi CEO, Jon von Tetzchner. “After a phenomenal response to our massive update version 2.0, we are looking ahead to make Vivaldi even more efficient for you”. With Quick Commands, users don’t need to memorise a thousand different shortcut combinations. It simply lets them type in the action they want in order to gain access to any part of the browser, in addition to searching the Web. They are easily opened by using F2/⌘ E by default, closed by the ESC key and are accessible under Tools in the main menu. View a list of open tabs: Finding and viewing a particular tab can become hard when a lot of tabs are open. View a list of open tabs and get the total count through Quick Commands is easy. Navigation is convenient through this list with the help of arrow keys or Tab to find what users are looking for. Find a list of open tabs with relevant keywords: With a zillion tabs open, scrolling through the list can get cumbersome. Quick Commands are helpful as users can search their open tabs in the browser with matching keywords. Search browsing History: Quick commands help tracking down past entries. It comes in as a very useful option when users are unable to recall an entry that they had seen last. 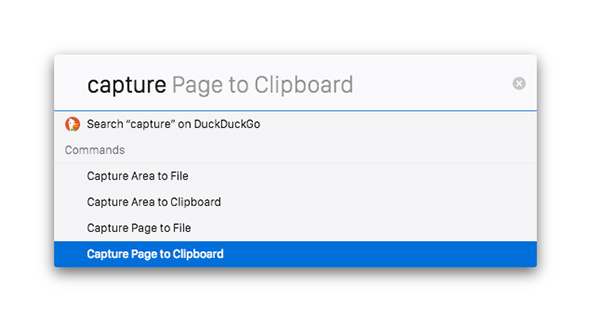 Find a command: Quick Commands lets users access all the functionality of the main Menu. They can both search for and execute a command from the same interface. When searching for a command, a clickable result (along with a display of its corresponding shortcut) will appear. By a simple click, the command can be executed. What’s more, users can use the full Keyboard Shortcuts Cheat Sheet from Quick Commands and remind themselves of the shortcut to open it. 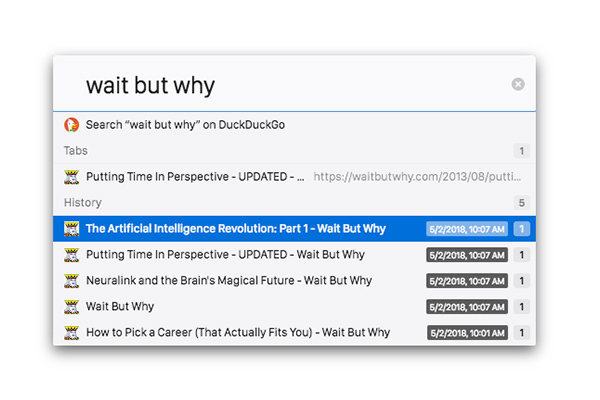 Open Bookmarks quicker: For frequently used websites, Quick Commands can speed up the process of opening Bookmarks helping users greatly. By enabling “Open on Nickname match” in Settings, users can use Quick Commands instantly with its assigned nickname without even using the Enter key. For example, “rd” can be assigned as the nickname for a bookmark for submissions on Reddit (https://www.reddit.com). Entering “rd” into Quick Commands will allow the page to open immediately (either in a new tab or the current tab, depending on your Settings). 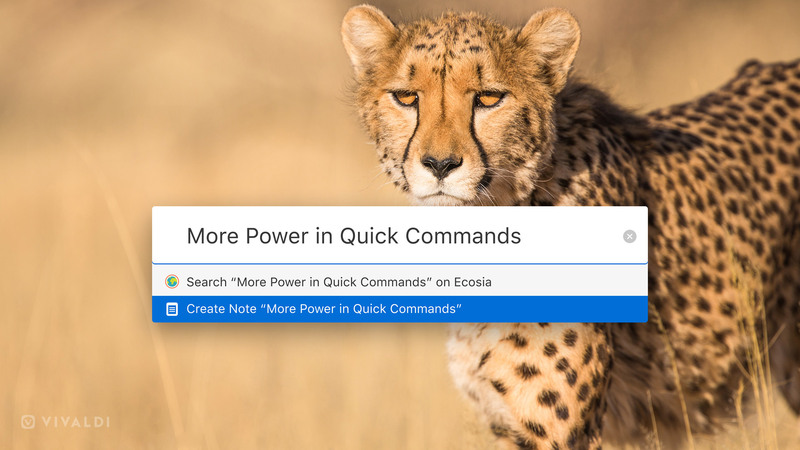 Users can now create Notes through Quick Commands. Available only in Vivaldi, Notes is another unique built-in feature that lets users jot down ideas in a small window embedded in the expanded Panel while browsing online. 1. Open Quick Commands using F2/⌘ E (or via the Tools menu). 2. Type the text of your Note directly in the Quick Commands interface; for example, in the video below, a new Note is added with the text “Add Notes quickly”. 3. Select “Create Note…” from the list of options shown. 4. The Notes panel will open automatically, displaying the newly created Note. When users type in Quick Commands, it will also search the content of Notes and display the relevant ones in a list of results – another great way to find results quickly. These new refreshing inclusions in day-to-day browsing work very well especially for keyboard lovers, journalists, researchers and all those who love to use Notes extensively. Vivaldi offers users various ways to increase the UI Zoom if they find the UI elements too small. In this update, Vivaldi adds support for Quick Commands parameter that can be used for both Page and UI Zoom. Users can now change the Zoom levels to any value according to their preference through Quick Commands. The UI Zoom can be assigned with dedicated keyboard shortcuts. To assign shortcuts for UI Zoom, go to “Settings → Keyboard → View → UI Zoom In/Out”. Similarly, Page Zoom can be assigned with the new value and reset to default with shortcuts in the Settings. For example, to zoom a page to 125% hit QC (F2/⌘E) and type “Page Zoom 125”. By typing “Page Zoom 100” or “Page Zoom Reset”, the default setting can be brought back. “Users need their sense of freedom, and most of us want to do things ‘our way.’ This holds true when it comes to navigation and how you interact with your browser. Quick commands allow you to grow into the browser without hunting for an extension”, says Vivaldi CEO, Jon von Tetzchner. This update brings video standards to the forefront supporting Open media and Video1 (AV1). AV1 is an open-source royalty-free video codec backed by industry giants and streaming services. Going forward videos will work out of the box for every Vivaldi user and issues with imperfect proprietary media will get resolved.